Lt-General Akwasi Amankwaa Afrifa (24 April 1936 – 26 June 1979) was a Ghanaian soldier, farmer, a traditional ruler (king) and politician. A farmer is a person engaged in agriculture, raising living organisms for food or raw materials. The term usually applies to people who do some combination of raising field crops, orchards, vineyards, poultry, or other livestock. A farmer might own the farmed land or might work as a laborer on land owned by others, but in advanced economies, a farmer is usually a farm owner, while employees of the farm are known as farm workers, or farmhands. However, in the not so distant past, a farmer was a person who promotes or improves the growth of by labor and attention, land or crops or raises animals. He was the head of state of Ghana and leader of the military government in 1969 and then Chairman of the Presidential Commission between 1969 and 1970. He continued as a farmer and political activist. He was elected Member of Parliament in 1979 but was executed before he could take his seat. He was executed together with two other former heads of state, General Kutu Acheampong and General Fred Akuffo, and five other Generals (Utuka, Felli, Boakye, Robert Kotei and Amedume), in June 1979. He was also popularly referred to by his title Okatakyie /ˈoʊkætætʃiː/ Akwasi Amankwaa Afrifa and was in addition the Abakomahene of Krobo in the Asante-Mampong Traditional Area of the Ashanti Region of Ghana. Ignatius Kutu Acheampong was a military head of state of Ghana who ruled from 13 January 1972 to 5 July 1978, when he was deposed in a palace coup. He was later executed by firing squad. Akwasi Afrifa was born at Mampong in the Sekyere West District of the Ashanti Region of Ghana. His basic education was at the Presbyterian Boys Boarding School at Mampong. He then continued with his secondary education at Adisadel College at Cape Coast in the Central Region, where he was between 1952 and 1957, during which he was expelled. This thwarted his original ambition to be a lawyer. [ citation needed ] He joined the Ghana Army in 1957 and was sent to the Regular Officer's Special Training School. From there, he attended the Mons Officer Cadet School, Aldershot, England in 1958. He then completed officer training at the Royal Military Academy, Sandhurst, England. In 1961, he was at the School of Infantry, Hythe, United Kingdom. Mampong is a small town in the Mampong Municipal of Ashanti and serves as the administrative capital of Mampong Municipal. Mampong has a population of 42,037 people. Mampong is also the centre of the new Anglican Diocese of Asante Mampong, inaugurated in 2014. According to the International Standard Classification of Education (ISCED), basic education comprises the two stages primary education and lower secondary education. Lieutenant General Emmanuel Kwasi Kotoka was a member of the ruling National Liberation Council which came to power in Ghana in a military coup d'état on 24 February 1966. 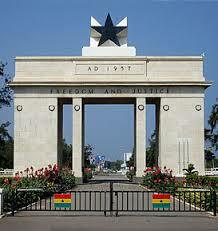 This overthrew the government of Dr. Kwame Nkrumah, the first president of the republic. John Willie Kofi Harlley was a Ghanaian senior police officer and politician. Harlley was a former foreign minister of Ghana. He was a member of the Presidential Commission that ruled Ghana during the military era of the National Liberation Council and the first year of the Second Republic. He was also a former Inspector General of Police in Ghana. Following the coup, Kotoka became one of the eight members of the National Liberation Council (NLC). Afrifa also went through a series of rapid promotions rising from Major to Lieutenant General in the three years his government was in power. He was also appointed the Commissioner (Minister) for Finance and Trade. The Head of state of Ghana and Chairman of the NLC, Joseph Arthur Ankrah was forced to resign in April 1969 following a bribery scandal involving Francis Nzeribe, a Nigerian businessman. He was replaced by Afrifa as Head of state. Ankrah was accused of effecting payments to influence the results of a poll which showed him ahead of Afrifa and Kofi Abrefa Busia for the national elections due in August 1969. Afrifa was a supporter of Busia, the leader of the Progress Party who was a candidate in the forthcoming National Assembly elections. Afrifa handed over to Busia who became the Prime Minister of Ghana on inauguration of the Second Republic. He continued as Chairman of the newly created Presidential Commission until August 1970 when he was replaced by Nii Amaa Ollennu, the Speaker of Parliament in the Second Republic. Following the fall of Acheampong, the new SMC under General Fred Akuffo organized presidential and parliamentary elections on 18 June 1979 for a multi-party national assembly. The elections were, however, held under the government of the Armed Forces Revolutionary Council (AFRC) as the SMC itself had been overthrown on 4 June 1979. Afrifa stood for and won the Mampong North constituency seat on the ticket of the United National Convention, whose roots were from the Progress Party of Kofi Abrefa Busia. On 26 June 1979, eight days after his election, Afrifa was executed and thus never had the opportunity to take his seat in the Parliament of the Third Republic of Ghana and was succeeded in parliament by Ebenezer Augustus Kwasi Akuoko. Afrifa was the son of Opanin Kwaku Amankwa and Ama Serwaa Amaniampong, both from Krobo, near Mampong, in the Ashanti Region. At the time of his execution, he was married to Christine Afrifa, with whom he had nine children. His first Ama Serwa Afrifa, Seven with Christine Afrifa; Baffour Afrifa, Baffour Anokye Afrifa, Maame Drowaa Afrifa, Serwaa Amaniampong Afrifa, Ayowa Afrifa, Sophia Afrifa and Akos Afrifa. His last son Henry Afrifa was born after his death. Afrifa had written a letter to Acheampong expressing fears about the future execution of soldiers as a deterrent against the staging of military coups in Ghana, due to the prevailing corruption and indiscipline in the military. This was around the period of the UNIGOV campaign and before Acheampong was removed in a palace coup on 5 July 1978. Operation Guitar Boy was the code-name for an attempted coup d'état on April 17, 1967 in Ghana, by a group of junior officers of the Ghana Armed Forces. Although unsuccessful, the coup resulted in the assassination of Lieutenant General Emmanuel Kwasi Kotoka, Ghana's Chief of the Defence Staff. 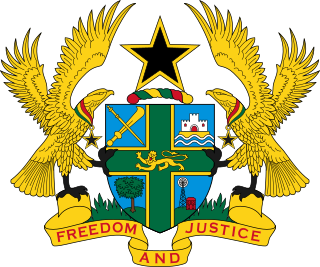 The National Liberation Council (NLC) led the Ghanaian government from 24 February 1966 to 1 October 1969. The body emerged from a CIA-planned coup d'état against the civilian government led by Kwame Nkrumah. The Ghana Police Service and Ghana Armed Forces carried out the coup jointly, with collaboration from the Ghana Civil Service. It is alleged that the plotters were well connected with the governments of Britain and the United States, who some believe approved of the coup because Nkrumah challenged their political and economic ambitions in Africa. The Armed Forces Revolutionary Council (AFRC) was the government of Ghana from June 4, 1979 to September 24, 1979. It came to power in a bloody coup that removed the Supreme Military Council, another military regime, from power. The June 4 coup was preceded by an abortive attempt on May 15, 1979 when Flt. Lt. Jerry Rawlings and other ranks were arrested. Their trial only served to make them popular till they were eventually released on the morning of June 4 by young officers and noncommissioned officers inspired by Rawlings. Erasmus Ransford Tawiah Madjitey, CBE was a Ghanaian police officer, diplomat and politician. He was appointed Police Commissioner in the Gold Coast on 9 October 1958, making him not only the first Ghanaian to head the Ghana Police Service, but also the first African South of the Sahara and the British Commonwealth to command a Police Force. Colonel Kwame R. M. Baah was a soldier and politician. He was the Ghanaian foreign minister between 1972 and 1975. Lieutenant General Albert Kwesi Ocran is a soldier and politician. He was a member of the Presidential Commission of Ghana between 1969 and 1970. He is a former Chief of the Defence Staff of the Ghana Armed Forces and was a member of the National Liberation Council (NLC) military government in Ghana. Leaders of the 1966 military coup, including army officers Colonel E.K. Kotoka, Major A.A. Afrifa, Lieutenant General (retired) J.A. Ankra, and Police Inspector General J.W.K. Harlley, justified their takeover by charging that the CPP administration was abusive and corrupt. They were equally disturbed by Nkrumah's aggressive involvement in African politics and by his belief that Ghanaian troops could be sent anywhere in Africa to fight so-called liberation wars, even though they never did so. Above all, they pointed to the absence of democratic practices in the nation—a situation they claimed had affected the morale of the armed forces. According to General Kotoka, the military coup of 1966 was a nationalist one because it liberated the nation from Nkrumah's dictatorship—a declaration that was supported by Alex QuaisonSackey, Nkrumah's former minister of foreign affairs. Reginald Reynolds Amponsah was a potter and politician in Ghana. He was a Minister of State in the Busia government. 1970s in Ghana details events of note that happened in Ghana in the years 1970 to 1979. 1 2 3 4 "Lt. Gen Akwasi Amankwa Afrifa Profile". GhanaWeb. Retrieved 7 September 2015. 1 2 3 "Reformer removed". Time Magazine articles archive. Time Inc. 1969-04-11. Retrieved 2007-06-25. 1 2 "The Military and the Government". Library of Congress Country Studies. Library of Congress. November 2004. Retrieved 2007-06-25. ↑ Jon Kraus (April 1966). "Ghana Without Nkrumah - The Men In Charge". Africa Report. Koranteng Ofosu-Amaah. Archived from the original on 19 June 2007. Retrieved 2007-06-25. 1 2 3 4 "Leaders of Ghana". Official Ghana@50 website. Ghana government. Archived from the original on 2007-09-28. Retrieved 2007-06-25. ↑ "Lt-Gen Emmanuel Kwasi Kotoka Profile". GhanaWeb. Retrieved 7 September 2015. 1 2 "The Security Services" (PDF). National Reconciliation Commission Report Volume 4, Chapter 1. Ghana Government. October 2004. pp. 24, 30. Archived from the original (PDF) on October 16, 2006. Retrieved 2007-06-25. ↑ "253. Memorandum From Robert W. Komer of the National Security Council Staff to the President's Special Assistant for National Security Affairs (Bundy)/1/". FOREIGN RELATIONS OF THE UNITED STATES 1964-1968, Volume XXIV, Africa. Department of State, USA. 1999. Archived from the original on 2001-06-17. Retrieved 2007-06-25. The plotters are keeping us briefed," .... "and the State Department thinks we're more on the inside than the British. While we're not directly involved (I'm told), we and other Western countries (including France) have been helping to set up the situation by ignoring Nkrumah's pleas for economic aid. All in all, it looks good. ↑ Paul Lee (2002-06-07). "Documents Expose U.S. Role in Nkrumah Overthrow". SeeingBlack.com. Archived from the original on 5 July 2007. Retrieved 2007-06-25. ↑ "Review of Petitions" (PDF). National Reconciliation Commission Report Volume 2, Chapter 5. Ghana Government. October 2004. pp. 127–129. Archived from the original (PDF) on October 16, 2006. Retrieved 2007-06-25. ↑ "Review of Petitions" (PDF). National Reconciliation Commission Report Volume 2, Chapter 5. Ghana Government. October 2004. p. 144. Archived from the original (PDF) on October 16, 2006. Retrieved 2007-06-25. ↑ "Lt. General Joseph A. Ankrah Profile". GhanaWeb. Retrieved 7 September 2015. ↑ "Our Leaders-Lt. General Joseph A. Ankrah". Official Website for the 50th Independence Anniversary Celebrations of Ghana. Ghana government. Archived from the original on 2007-09-28. Retrieved 2007-06-25. ↑ "History of Ghana - Post Independence Ghana". Ghana government. Archived from the original on 2007-09-28. Retrieved 2007-06-25. ↑ "General Afrifa to be re-buried". Ghana Review International Newsreel. Micromedia Consultants Ltd. 2002-01-17. Retrieved 2007-06-25. ↑ "Review of petitions" (PDF). National Reconciliation Commission Report Volume 2, Part 1, Chapter 6. Ghana government. October 2004. p. 180. Archived from the original (PDF) on October 16, 2006. Retrieved 2007-06-25. ↑ "Open Letter To Lance Corporal Fred Ansah Atiemo". GhanaWeb. 29 January 2004. Retrieved 2007-06-25. 1 2 "Rawlings To Defend Executions At NRC". GhanaWeb. 11 April 2003. Archived from the original on 6 November 2003. Retrieved 25 June 2007. ↑ "The Social Context" (PDF). National Reconciliation Commission Report Volume 2, Part 1, Chapter 4. Ghana Government. October 2004. p. 91. Archived from the original (PDF) on December 8, 2006. Retrieved 2007-06-25. ↑ "Review of Petitions" (PDF). National Reconciliation Commission Report Volume 2, Part 1, Chapter 6. Ghana Government. October 2004. p. 179. Archived from the original (PDF) on October 16, 2006. Retrieved 2007-06-25. ↑ "'JJ opposed Afrifa's execution' - Hamidu". GhanaWeb. 31 December 2001. Archived from the original on 9 June 2007. Retrieved 7 September 2015. ↑ "Review of Petitions" (PDF). National Reconciliation Commission Report, Volume 2, Part 1, Chapter 6. Ghana Government. October 2004. pp. 176–180. Archived from the original (PDF) on October 16, 2006. Retrieved 2007-06-25. ↑ Kwaku Sakyi-Addo (2001-04-30). "Resolving Ghana's violent past". African News. BBC. Retrieved 2007-06-25. ↑ "Ghana reburies past in quest for reconciliation". GhanaWeb. 28 December 2001. Retrieved 7 September 2015. ↑ ""I have no regrets for 1966 coup" - Afrifa's son". GhanaWeb. 31 January 2002. Retrieved 7 September 2015. Ocran, Albert Kwesi (1968). A Myth Is Broken: An Account of the Ghana Coup d'Etat of 24 February 1966. Longmans. ISBN 978-0-582-64523-3. Jackson, Kofi A. (April 1999). When Gun Rules. Woeli Pub Serv. ISBN 978-9964-978-57-0.